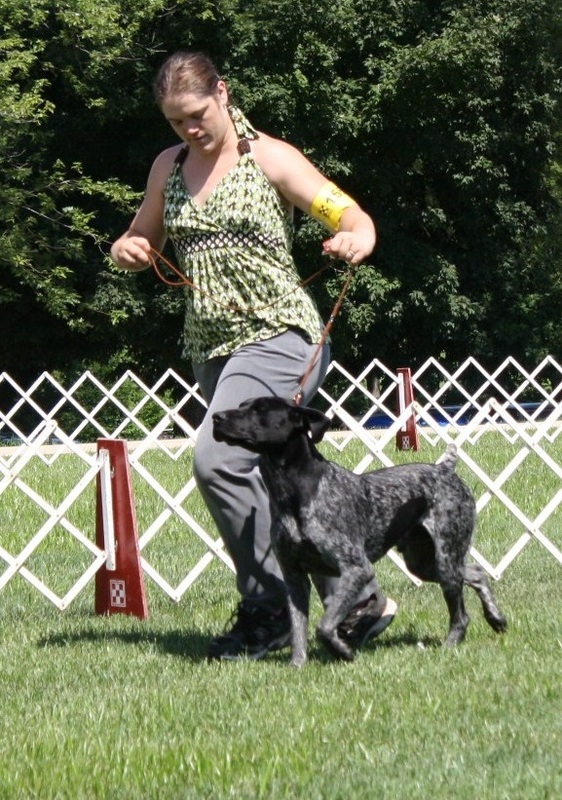 Mojo is everything you could wish for in a Black Roan GSP. He was hand picked and the "POL" from his siblings because of his striking color, extremely powerfull and large bone structure. 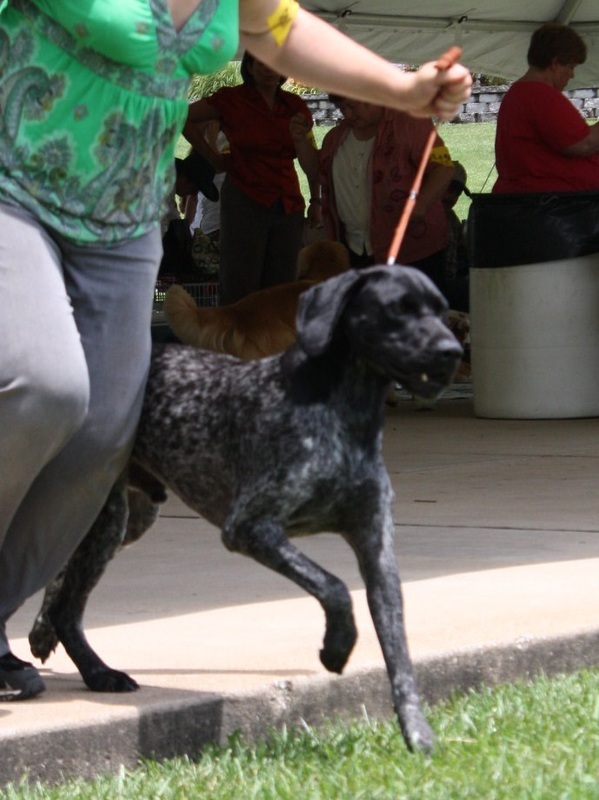 Mojo has become an elegant and a classy competitor in the show ring. He is confident and graceful with an unmistakable style all his own. 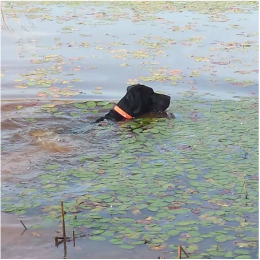 He is alsa a loving and gentle Hunting companion that is very calm around other dogs and livestock. 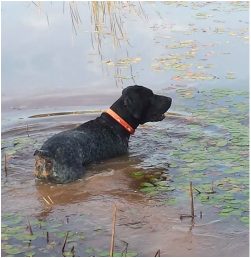 Mojo is truely a great Hunting companion and competitor. 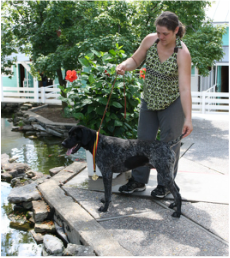 Mojo passes his quiet confidence, muscular build, large bone structure and his flashy color to his pups. 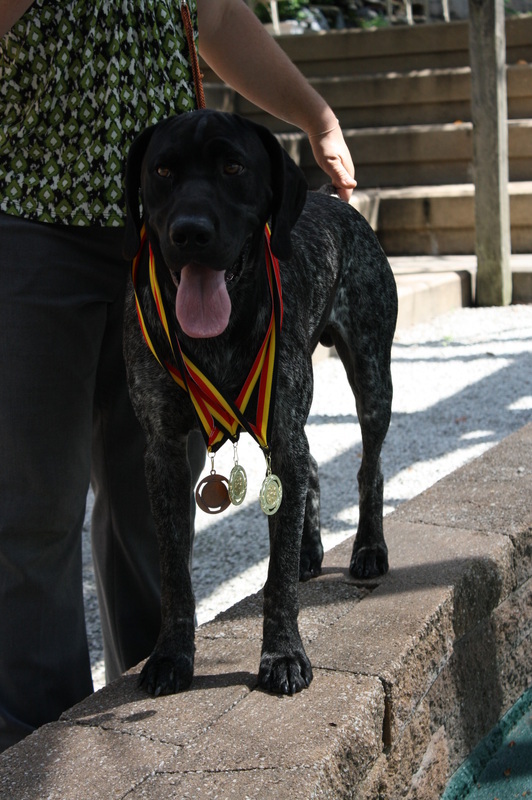 We have been so pleased with his genetics that we have kept two of his female pups for our future breeding program. Look at Jesse and Yahtzee's pages to see his daughters.